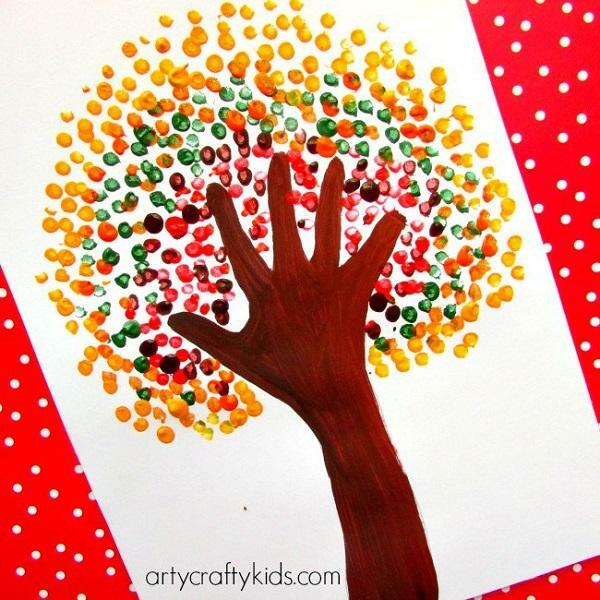 You do not have to be a great painter to draw and color with your children. Save those drawings and some very special dash and hang on the wall. it will mean to children. I read somewhere that somebody wisely said something like – if you want to make good people from your children, spend more time on them and spend less money on them and expensive toys. That’s absolutely correct. Do not think that expensive toys will make your children happy. They are currently pleasured. What children will remember when they become adults are the beautiful moments that have been spent with parents, embraces, a common laugh, good night stories… That’s what will build their character. Only love and kisses and embraces will make from them emotionally stable people. So do not save it. Hug and love your children. Spend time with them by doing creative things. And expensive toys will surely be broken or lost. Memories will not. The autumn is here and the weather is colder. The children started to go at school. They spend less time outdoors, both because of school obligations and because of cold weather, wind or rain. Now is the time to use their free moments to socialize and play with them. Skip the scattered toys or unwashed towels, dispose of the dish washing, and its not required to wash floor right now. Spend time with your kids while they are still small, while you have time for that. Because time passes quickly and tomorrow they will be adults who will not need your embrace or consolation. You will never again have the opportunity that you had today to spend with your children. You will have some new but you lost this today. In our gallery we present some ideas on how to creatively spend the afternoon with your smallest family members. 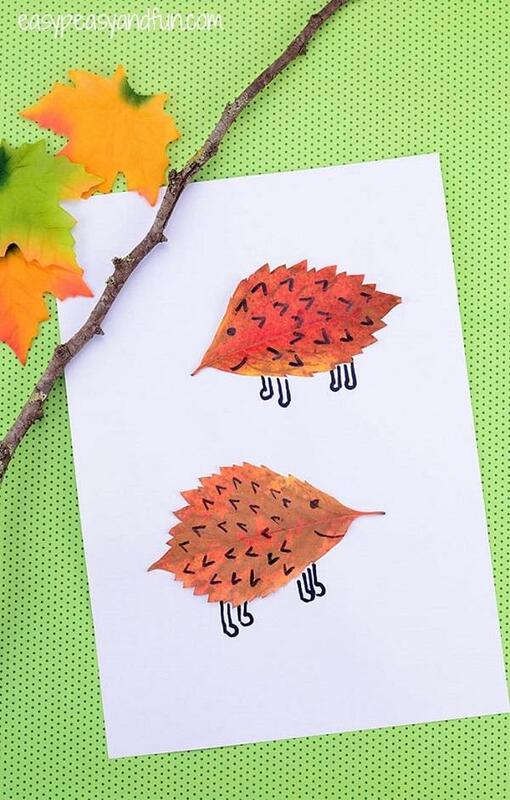 Draw together, make decorations from paper, collect chestnut and then paint them, laugh and joke with them. You will beautify yourself a day, but you will make it unforgettable for them. Autumn and winter are the best seasons for this. Warm your house and warm your soul by socializing with your loved ones. The moments you spend with your family do not have a price, and that love that you are exchanging then is the surest way to make good people from them. Someone said, (I do not remember which famous thinker), that life is not measured by the number of breaths, but how many times we have been breathless. Think about that! In the autumn there are as many as you like the yellow leaves. Here’s how you can creatively use it. Follow the instructions in the picture and make the hedgehogs from the thin cardboard or thicker color paper. Your little ones will be delighted. 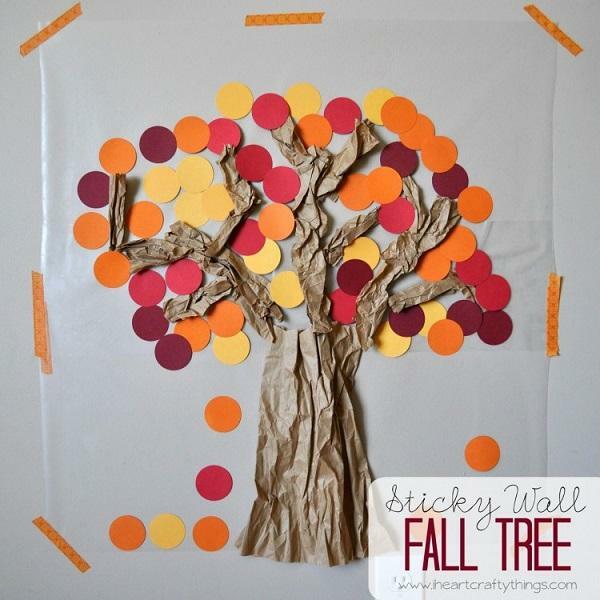 By using the paper, glue and dirty leaves make interesting posters like this one on the photo. Lolly Pop likes every child. 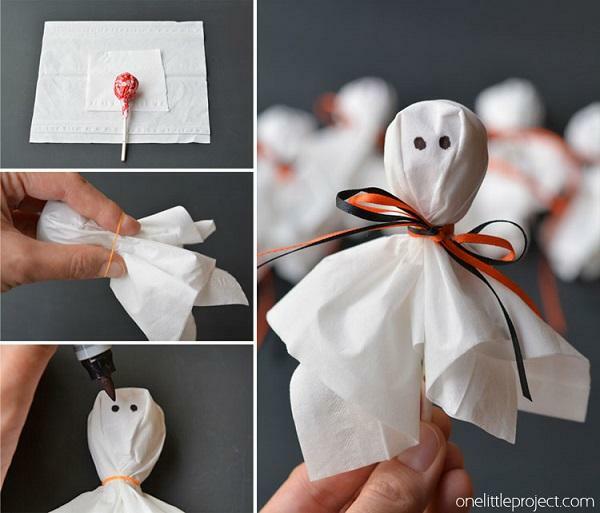 Decorate lolly pops and surprise them when they arrive from school or decorate them together so that your child carry that to school and eat with friends. 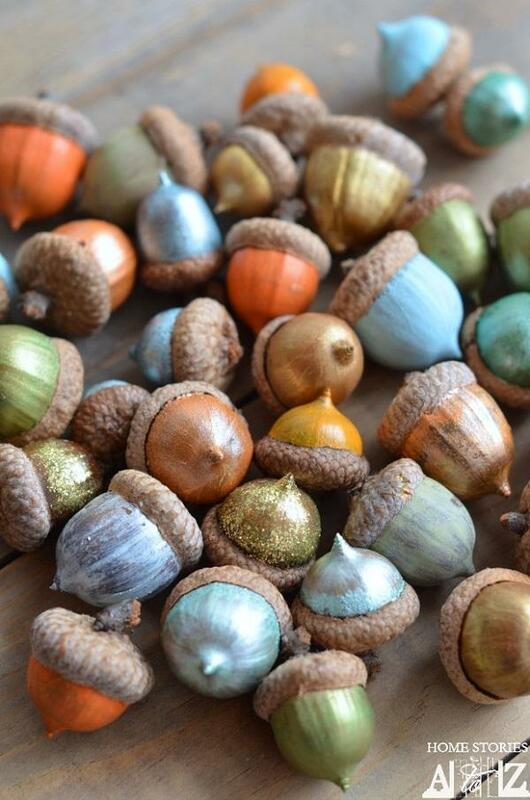 Autumn is a time of oak nuts and chestnut. 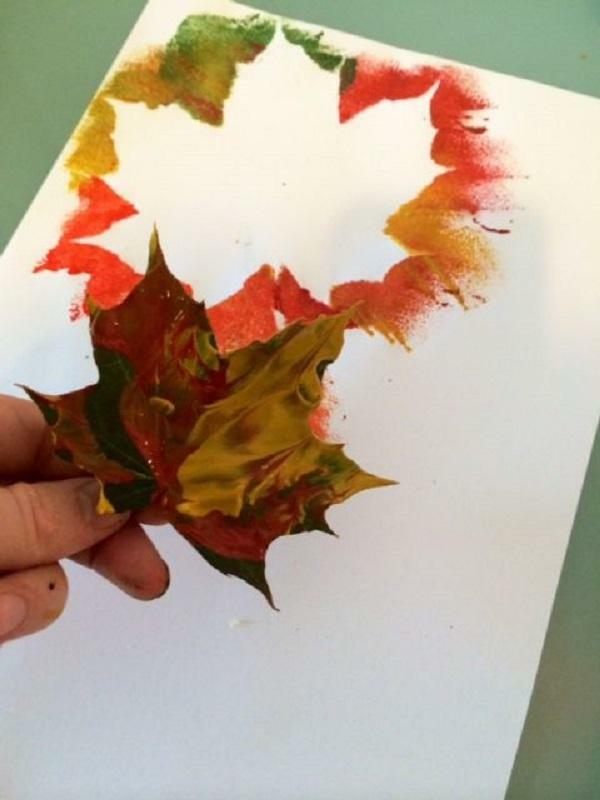 Use those wonderful nature gifts for playing with your kids and making decorations from it. 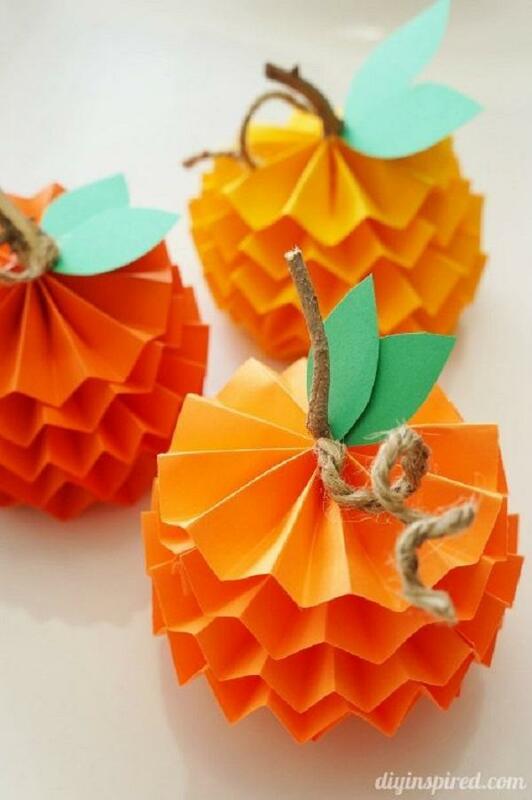 Make these beautiful ornamental fruits that resemble on fruits from orange paper. You will not need much effort just a little bit will. 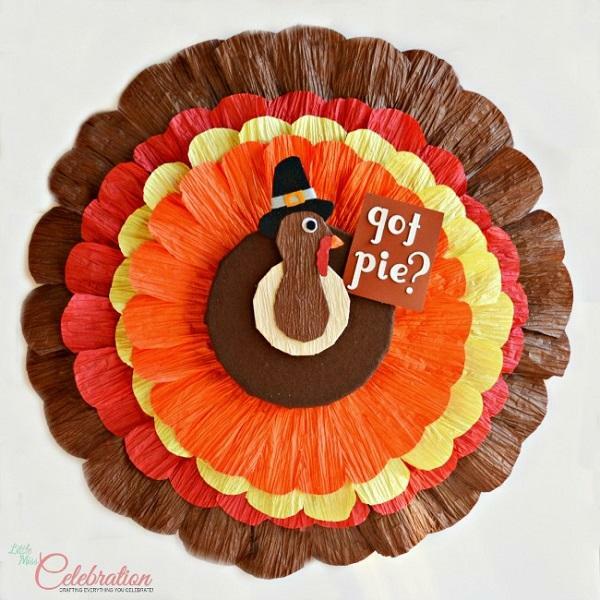 The cardboard provides many possibilities for use for decorative purposes. 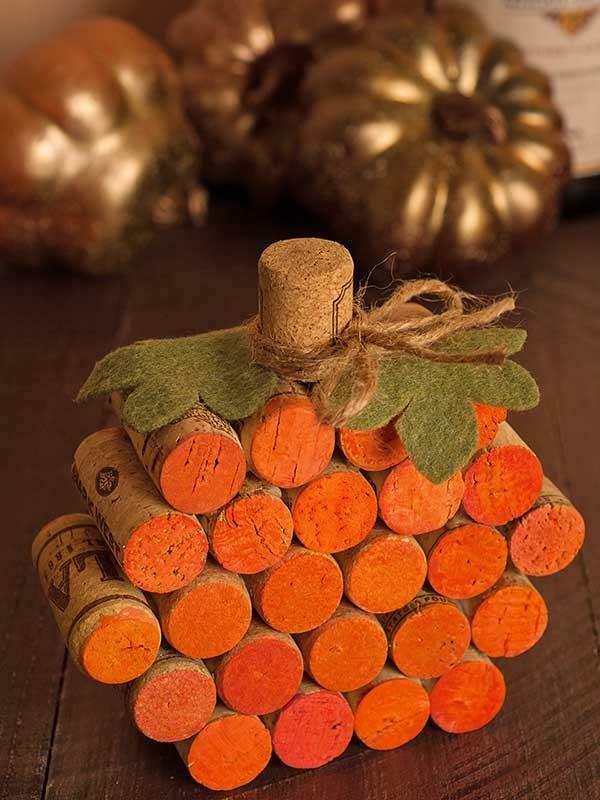 Corks of wine bottles do not need to be thrown. Collect them and use it when you’re eating with your kids. Making such a poster will surely entertain you as your youngest. Enjoy with them every single moment. 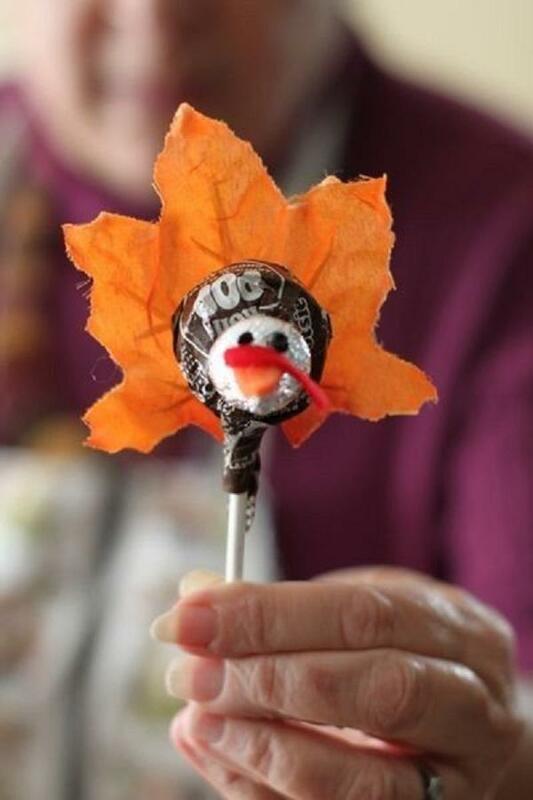 Here’s another idea of how to use the autumn gifts to decorate lolly pops for your small gourmets. 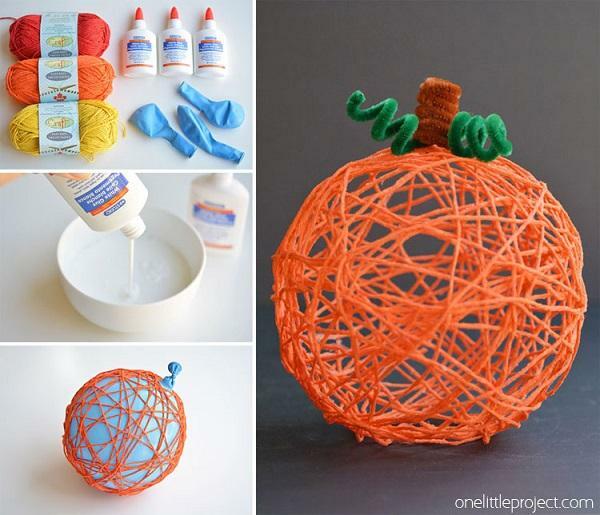 Paint the white pumpkin with wax colors. Use for it hair drier. You will get cheap but effective decoration for your house. 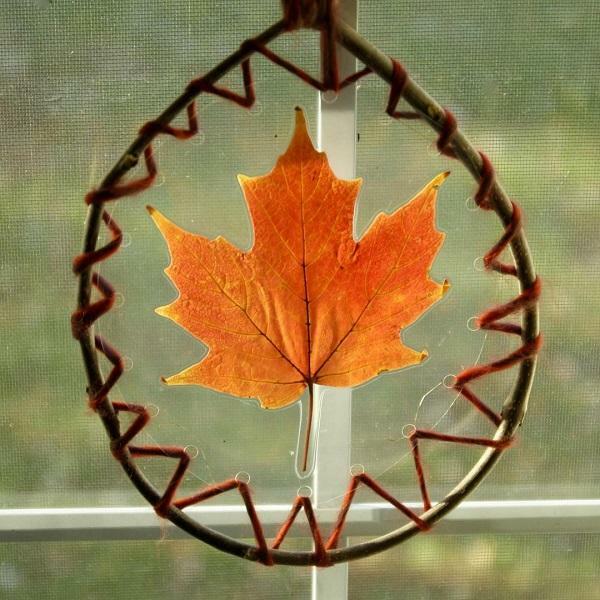 There is no better way to wish autumn welcome than the little wreath you made yourself using a yellow leaf and twigs. Regardless of the weather conditions, don’t let the rainy days make your good mood smaller. Rejoice every new day. Every day is a new chance to make your dream come true. Pine patches are very common decoration of many houses in autumn. 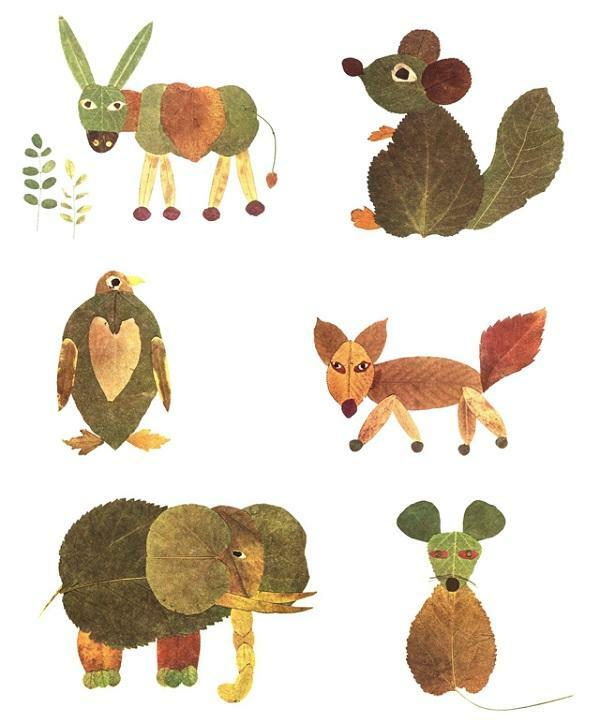 Cutting leaves or paper will, as usual, be most pleasing to children. Let your children tie up the ends and you will hang them. Teamwork brings people closer together just like parents and children. Pumpkins are a trademark of autumn. No matter because Halloween passed, use them still to decorate the garden and the interior. Lacquer leaves and string it. 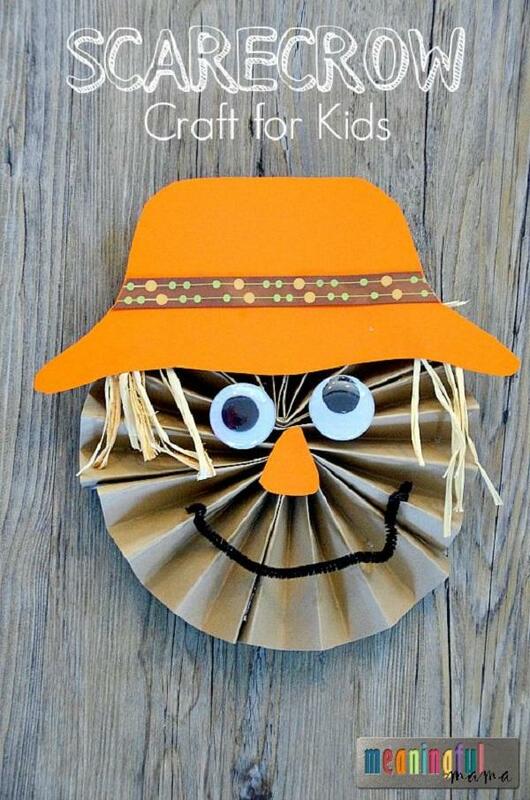 Children will have fun and you may get some nice decoration. Corn also comes in autumn. It can be interesting decoration material and, what is very important, long-lasting. 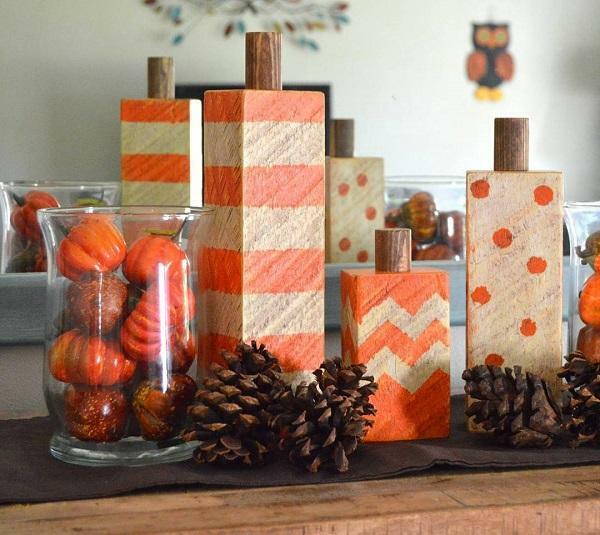 Very cheap candlesticks made with the help of ordinary jars, glue and leaves. 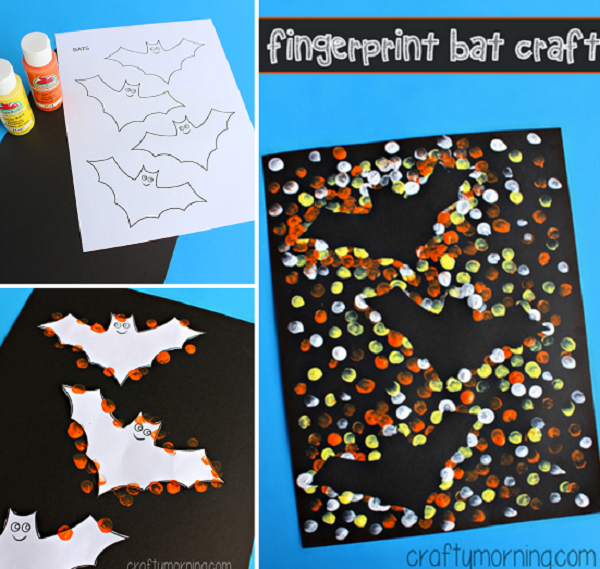 Cut templates from simple paper, put them on black paper and draw a background around them. 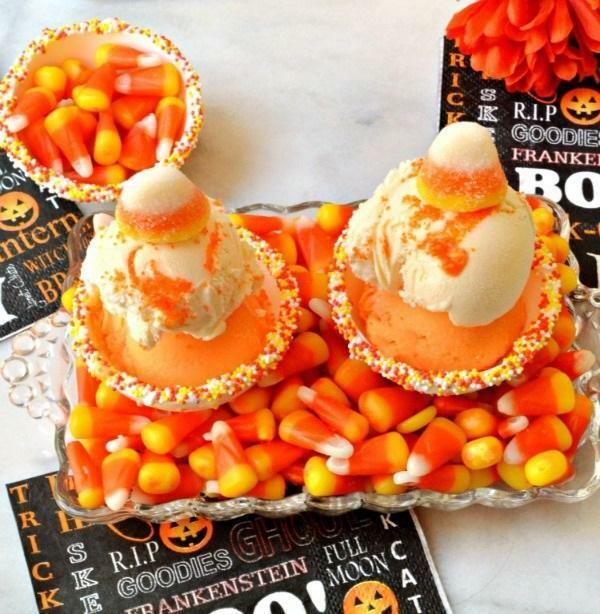 For the Halloween, this will be great and everyone will surely be delighted. And, it does not take much effort. 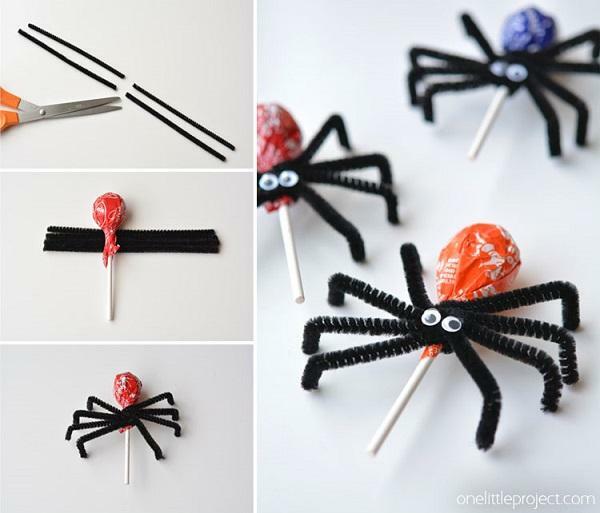 If this autumn you make a party for your little ones and their friends decorate lolly pops like this. 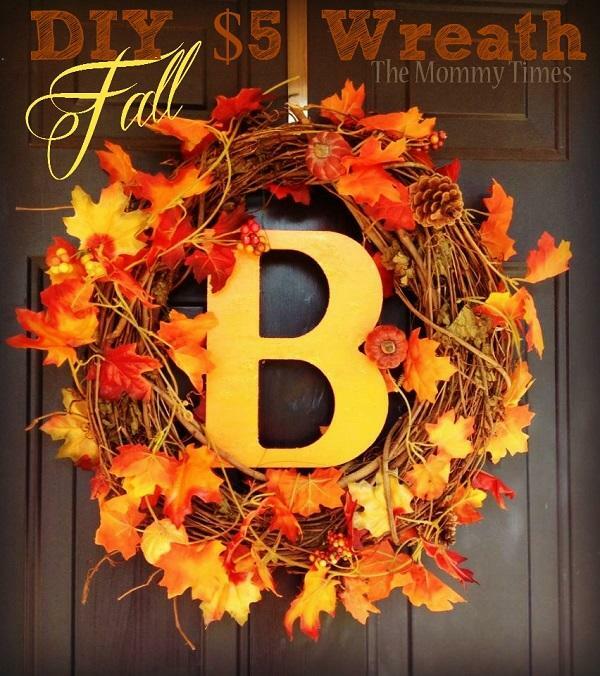 It’s easy, interesting, inexpensive and fast, and kids will be looking forward to what is most important.